Isolate 'Active' chassis while doing repair work. Eliminate noise over AC mains - noisy equipment. All other voltages and configurations are available. Traditional filters will only filter out noise on the 'Active' line. Yet noise on the neutral line can also cause problems. 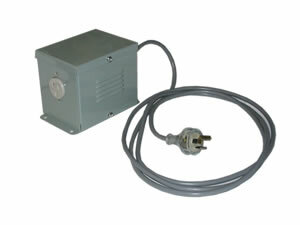 An Isolation AC Power Supply will effectively filter both active and neutral lines. This solves ground loop problems on audio / video systems. If you hear a 50Hz hum from your speakers when the amp is turned up and the source component is on, but not sending any signals, then you have a ground loop problem.